A simple concept based around the memory game, Sally has a shopping list, and must remember to get every item. Follow her as she visits the different shops; lift the flaps and discover the marvels that lie behind them. A charming picture book bought alive by Melvin’s magical and kooky illustrations and colour choices. 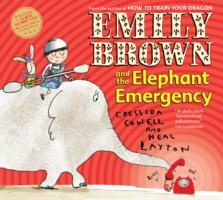 Winner of the Booktrust Best New Illustrator Award and a must have addition for any child’s bookshelf. 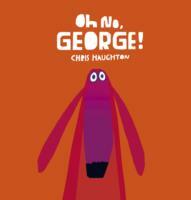 A fabulous new picture book from one of Booktrust’s Best New Illustators 2011. 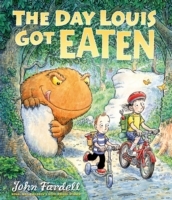 Luke and his big sister Sarah are out in the woods one day when Louis gets eaten by a Gulper who then gets eaten by another monster, who’s then eaten by another, and then another…The chase develops quickly as resourceful Sarah sets off on her bike to rescue Louis, ingeniously adapting her bike to the changing terrain. The hilarious chase, complimented wonderfully by Fardell’s detailed and lively illustrations, reaches a bonkers ending involving a hiccupping frog and an angry Louis. 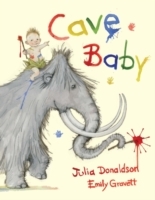 This laugh-out-loud book is perfect for boys and girls, and is brilliant to read aloud.